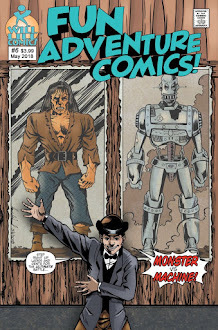 It's the main course in our Thanksgiving Feast 2015, Groove-ophiles, and do we ever have a special treat for ya! 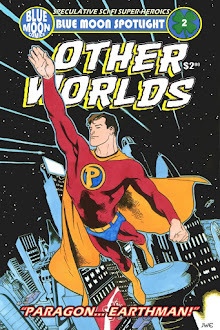 What If ? 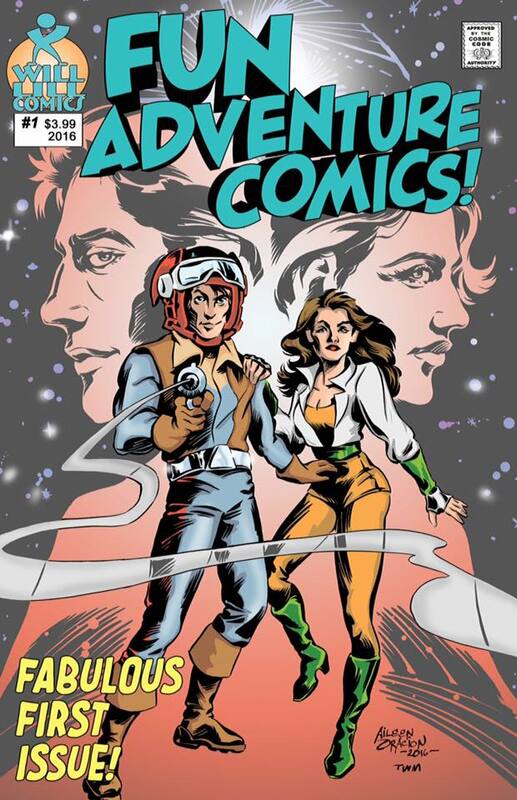 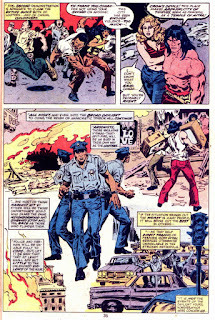 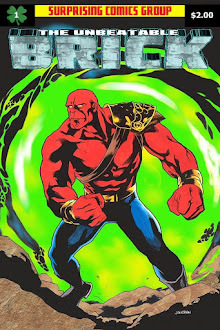 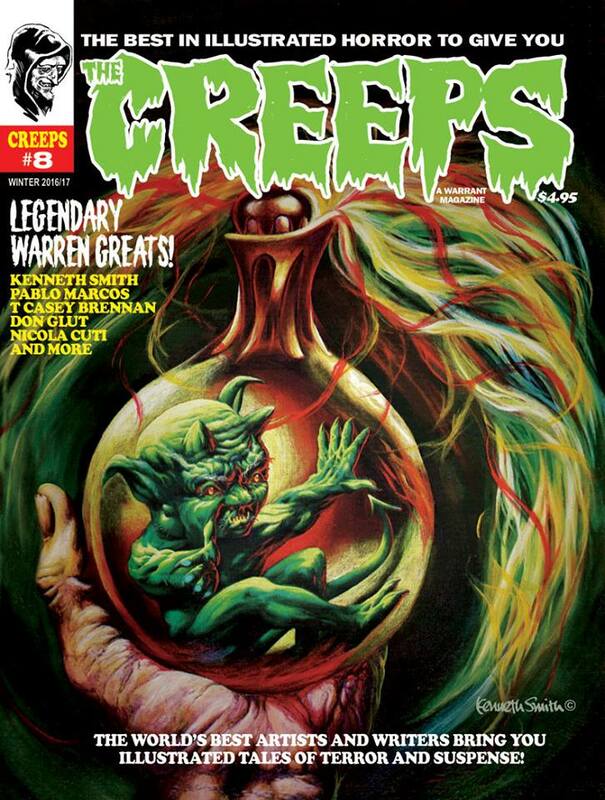 #13 (November 1978) was a long time coming! 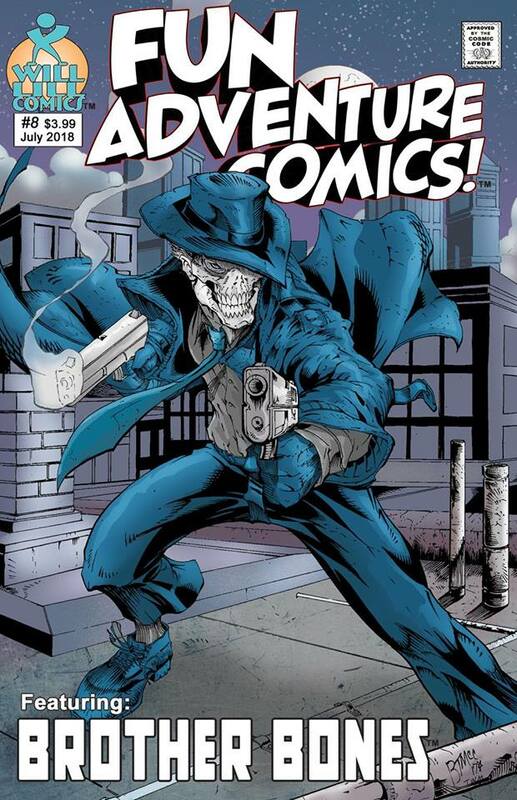 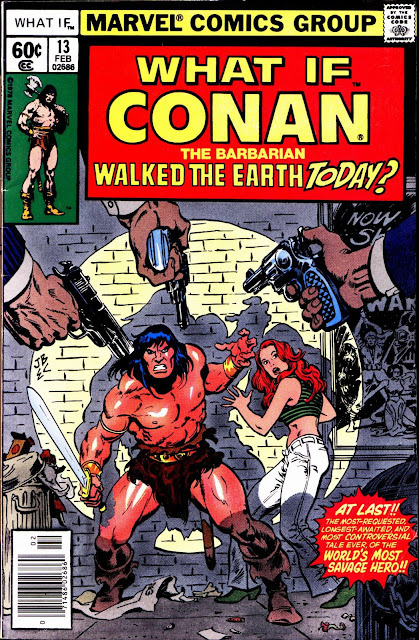 Originally announced for What If? 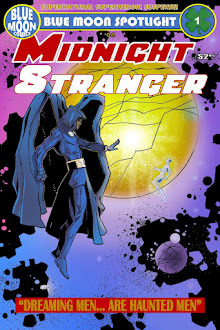 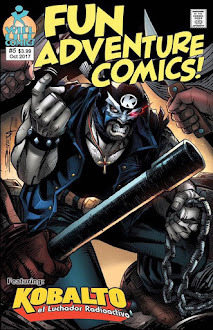 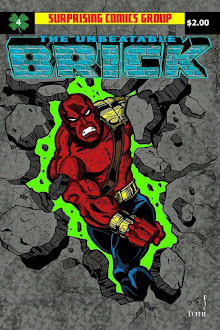 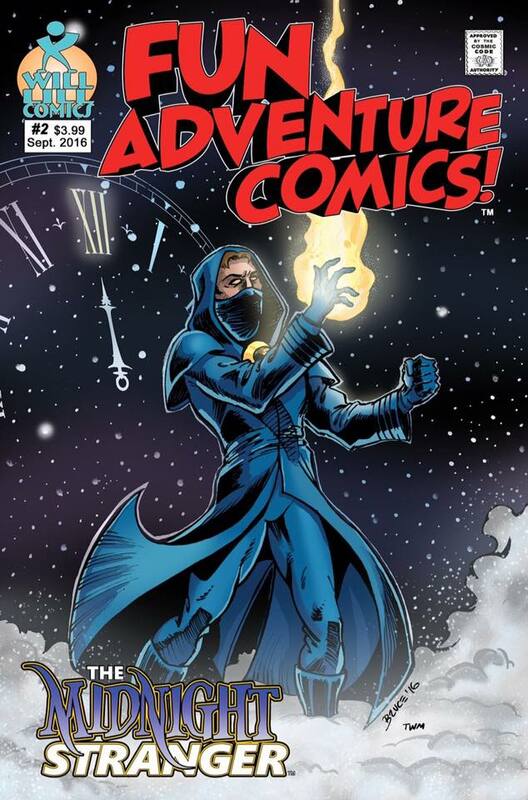 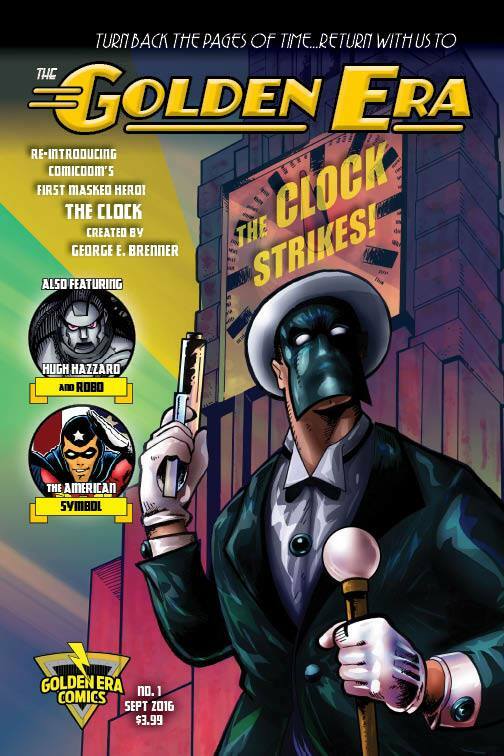 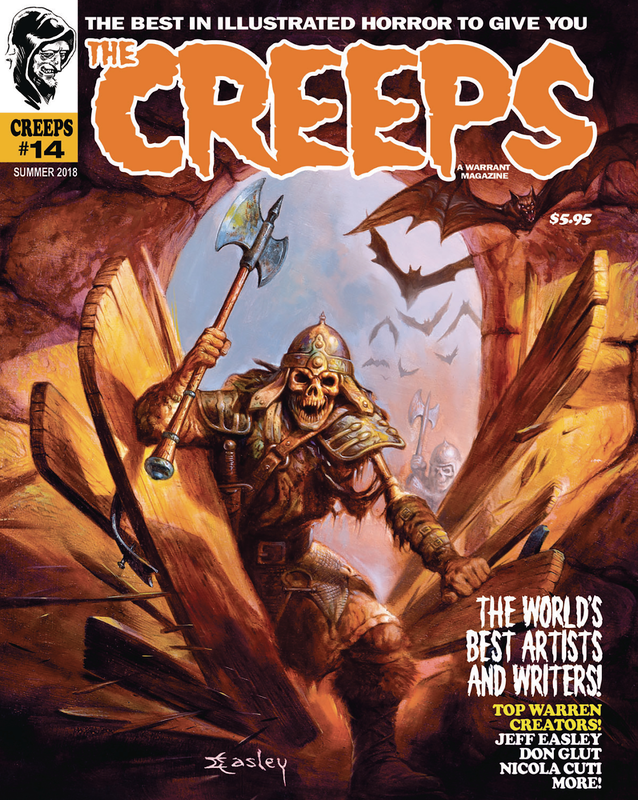 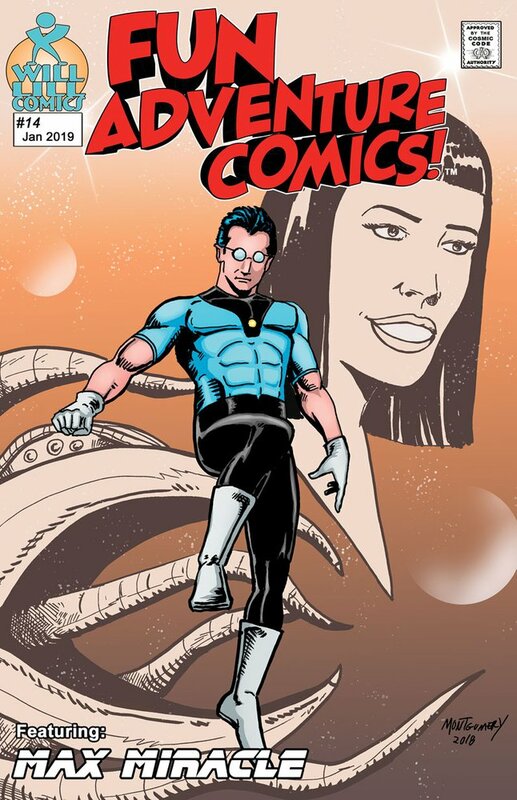 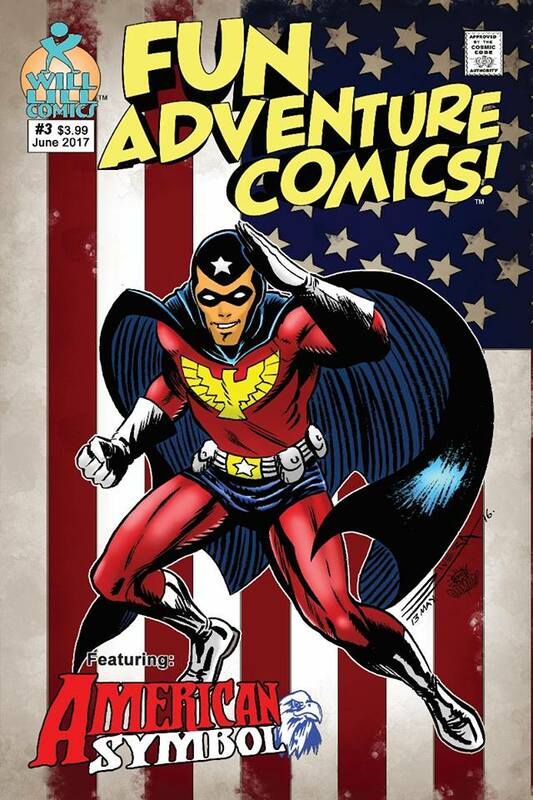 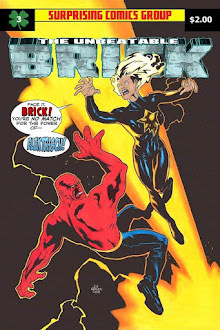 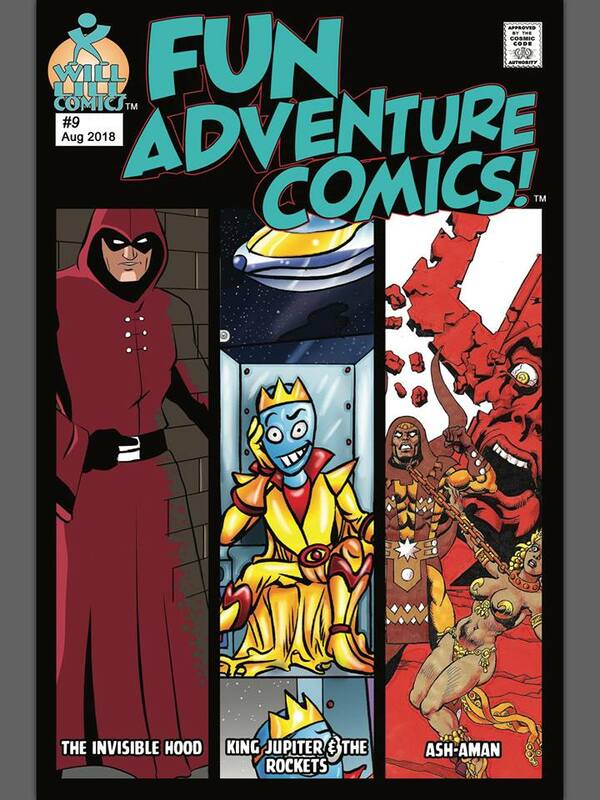 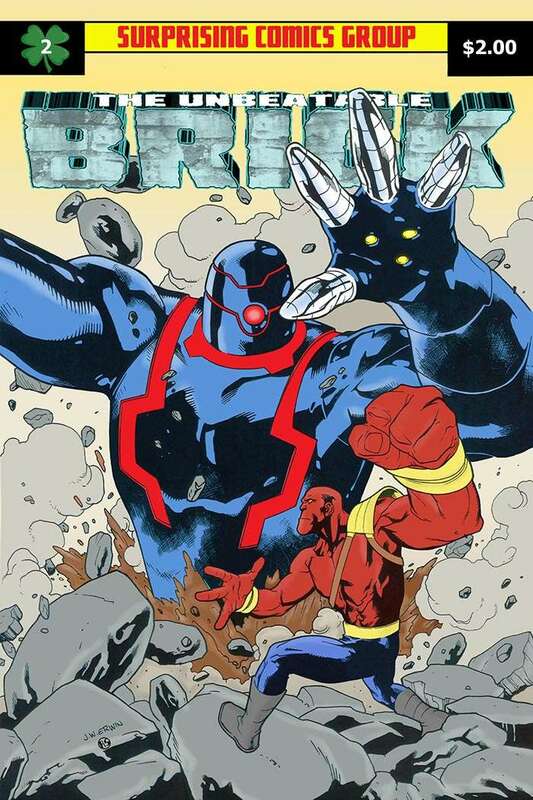 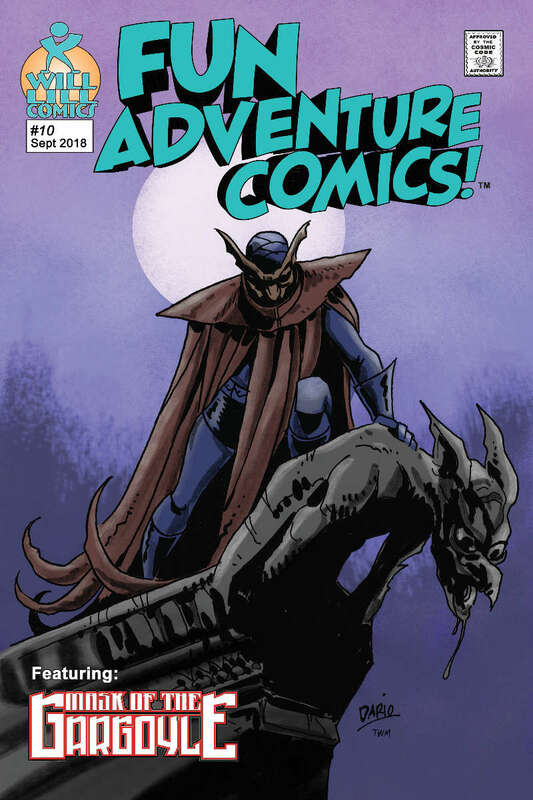 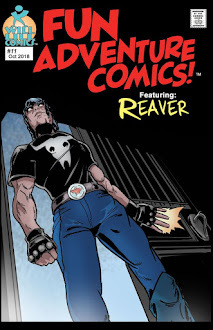 #3, delays of many kinds kept the story from appearing for nearly two years--but was it ever worth the wait! 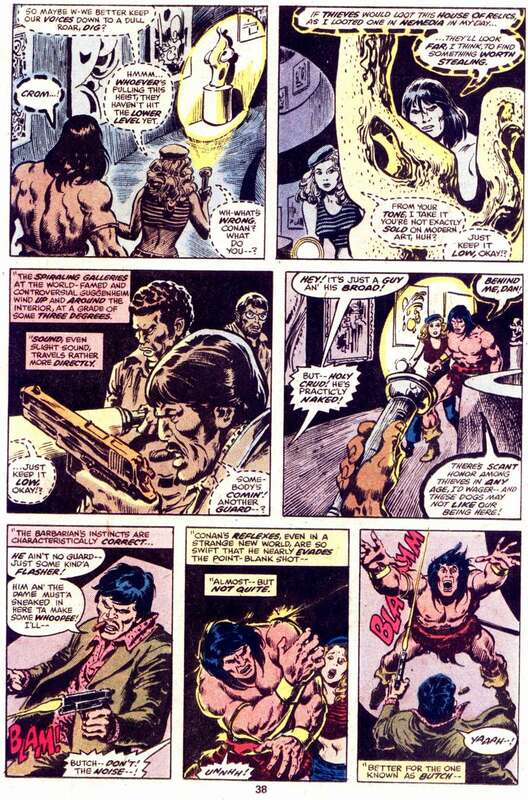 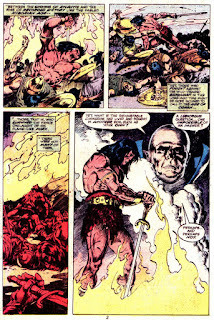 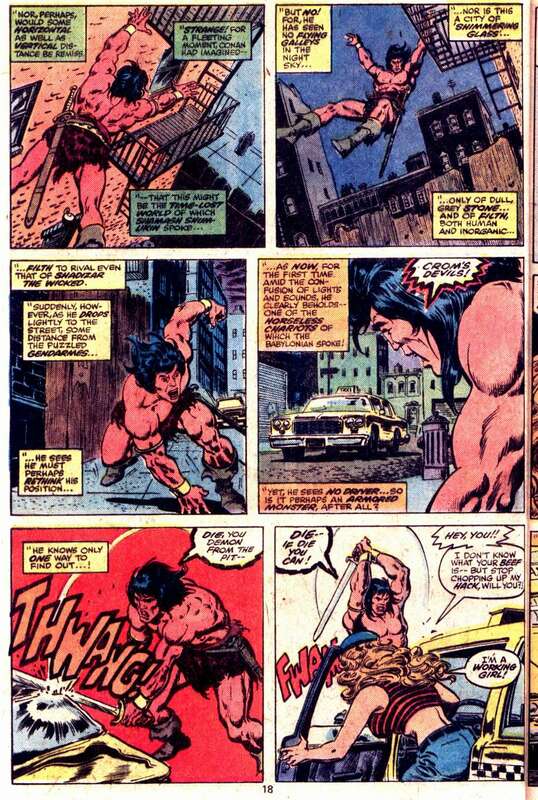 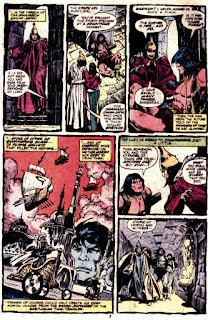 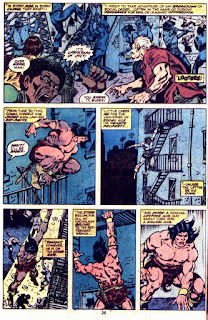 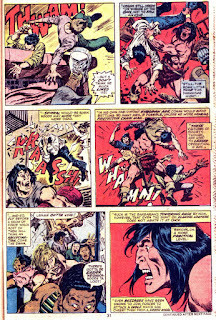 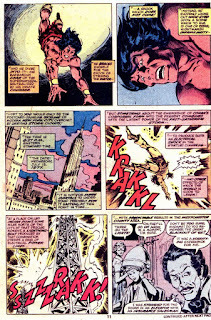 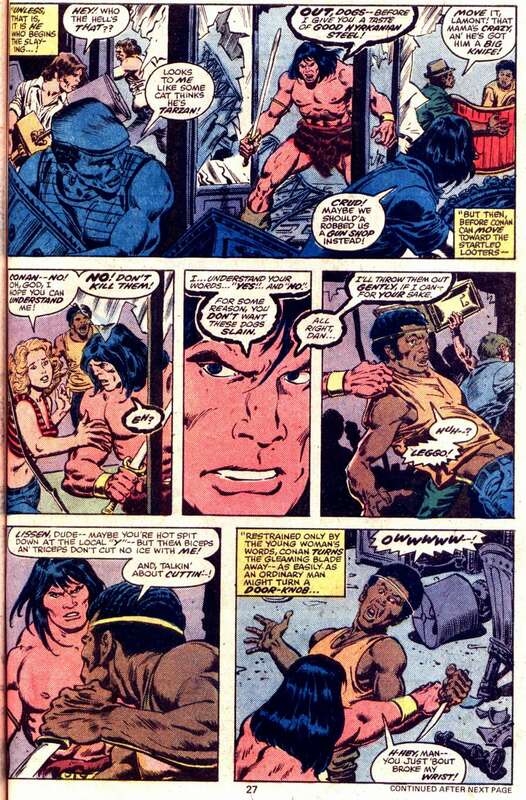 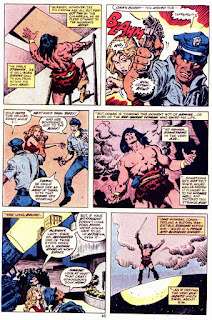 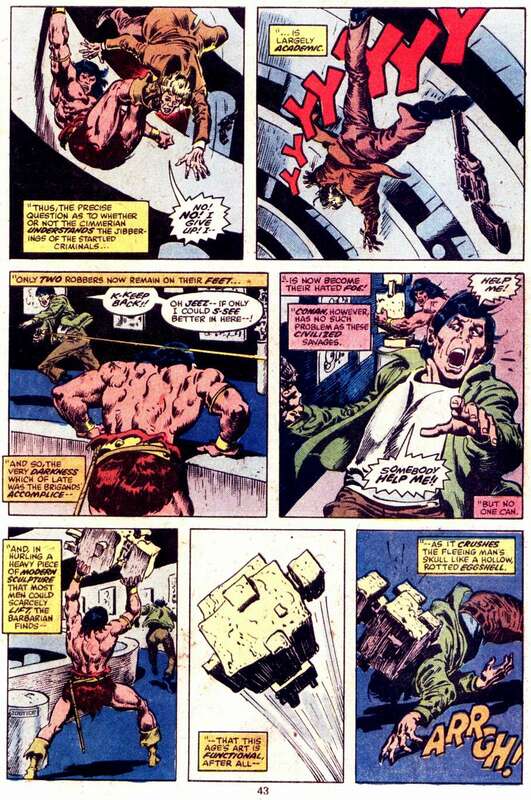 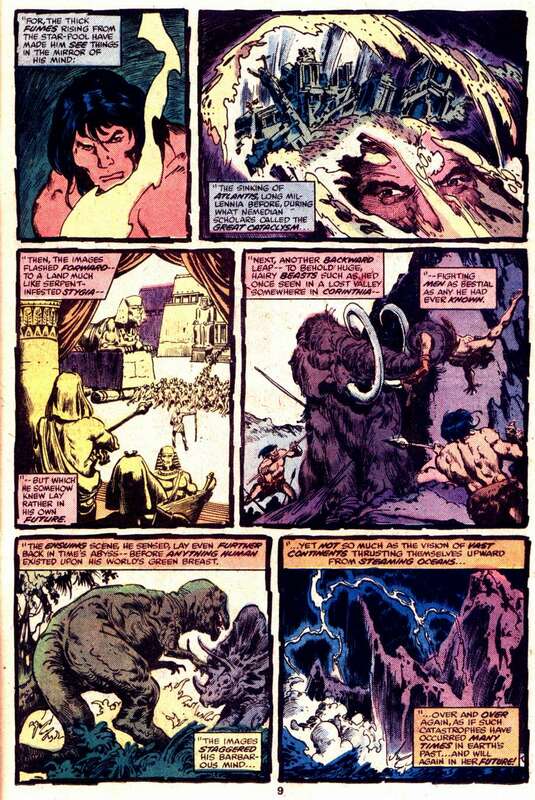 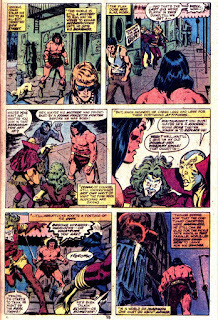 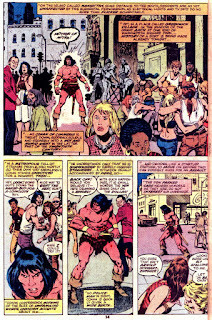 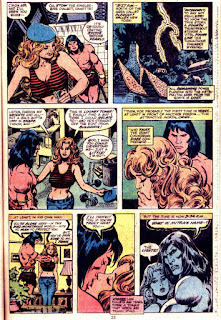 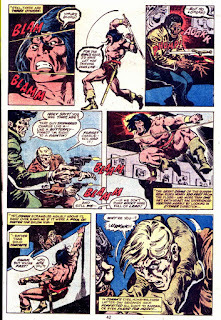 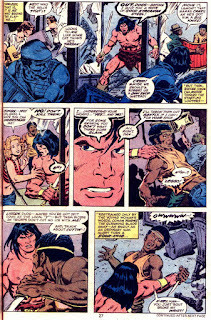 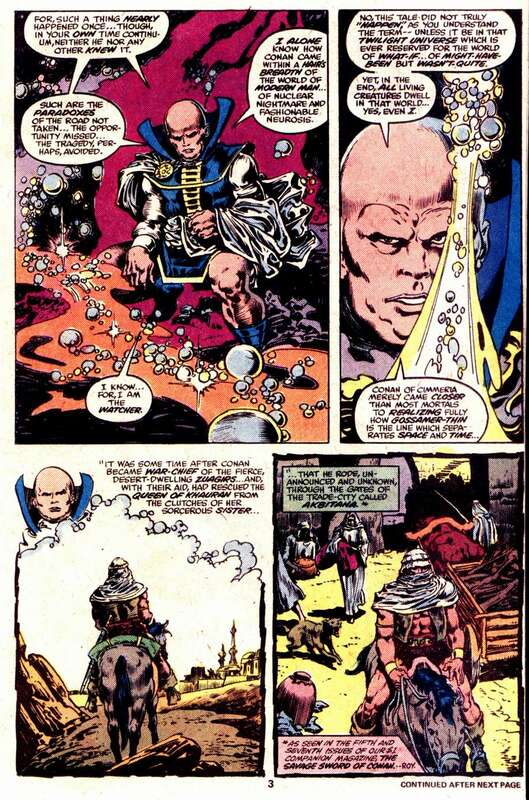 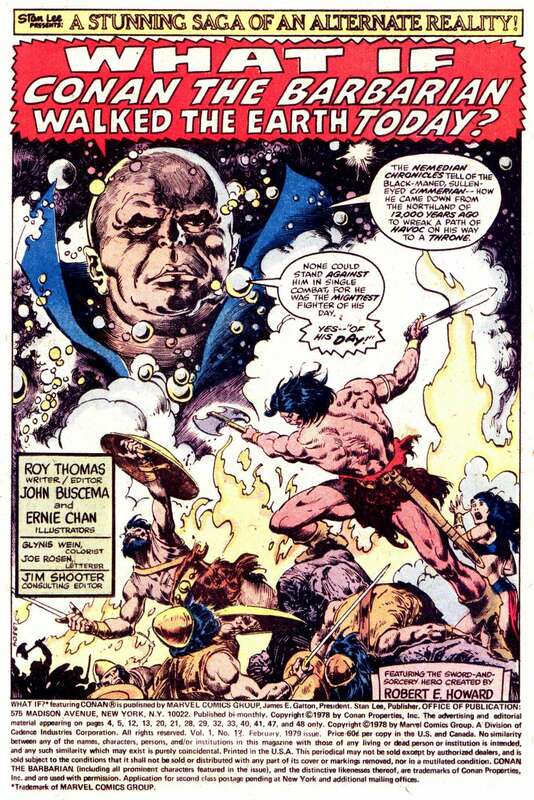 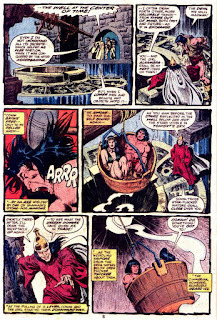 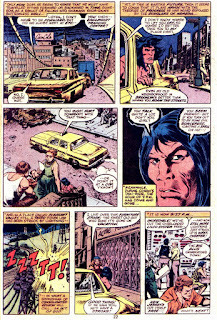 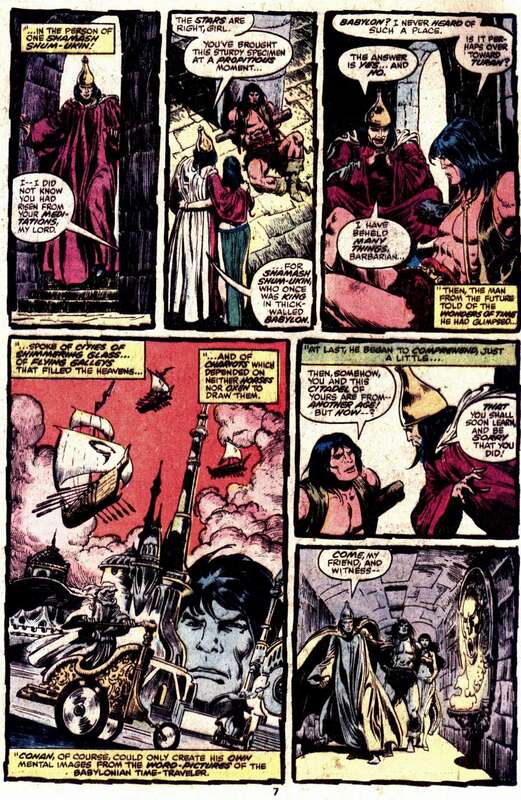 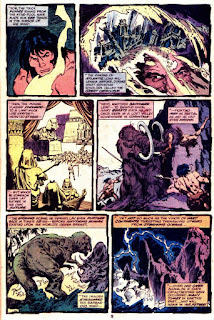 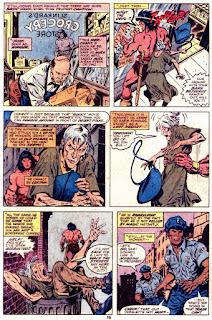 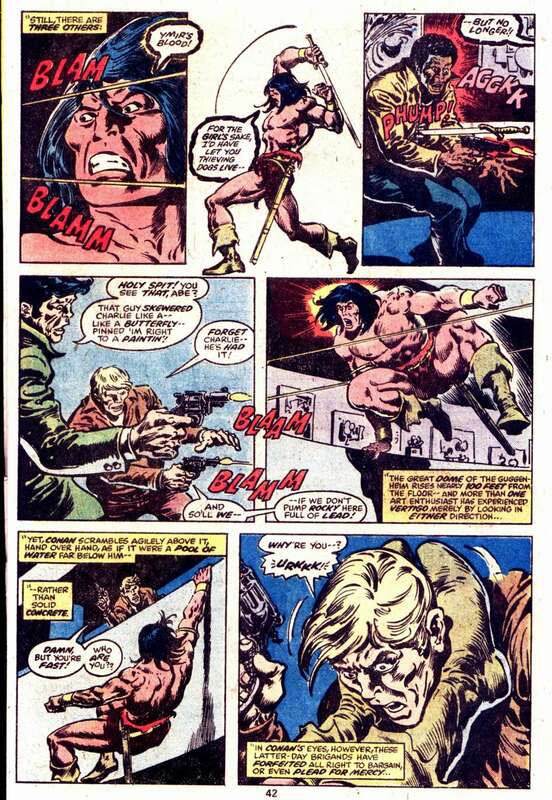 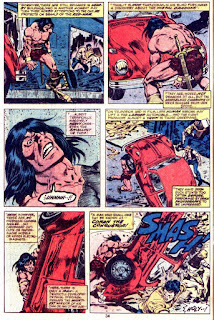 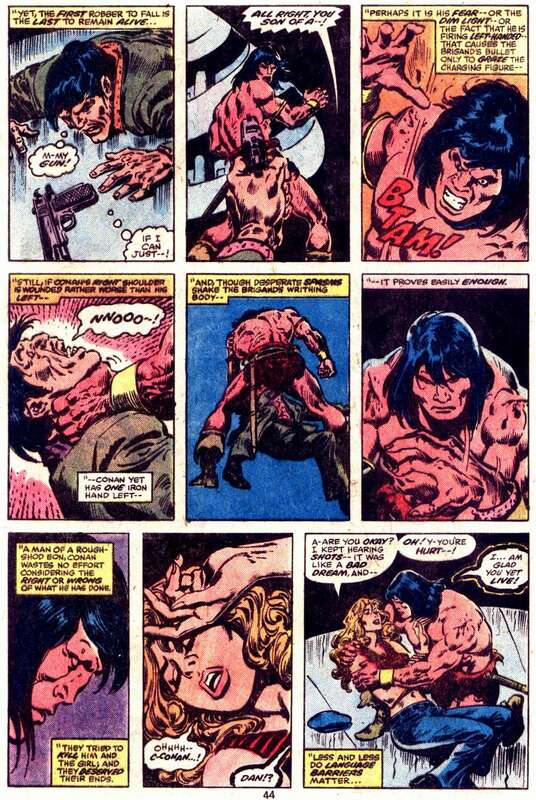 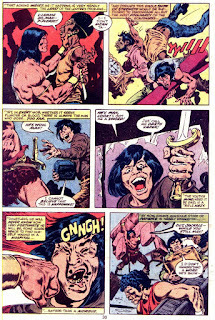 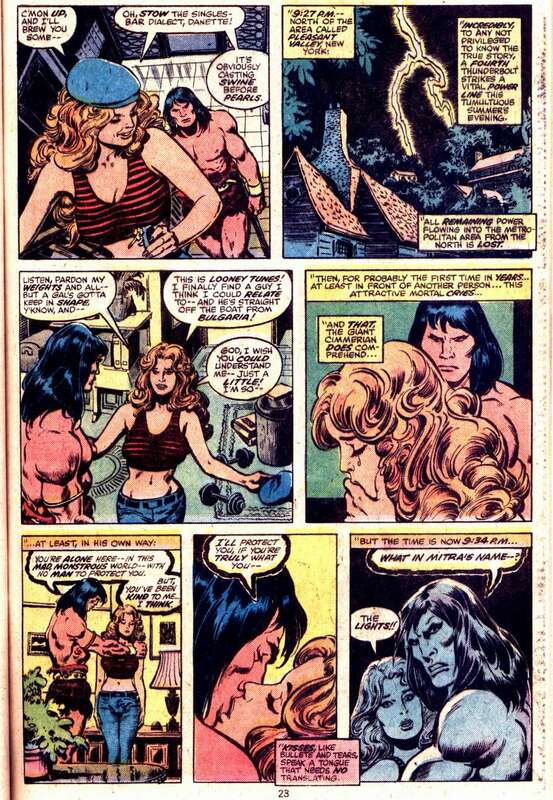 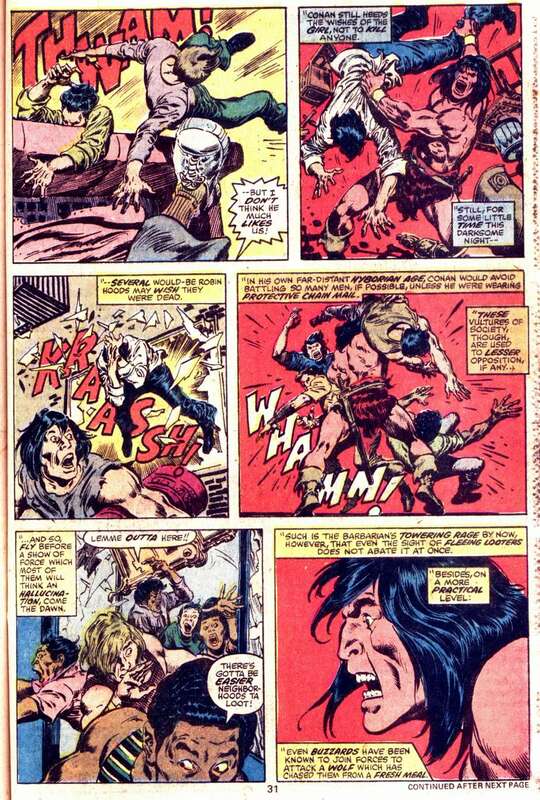 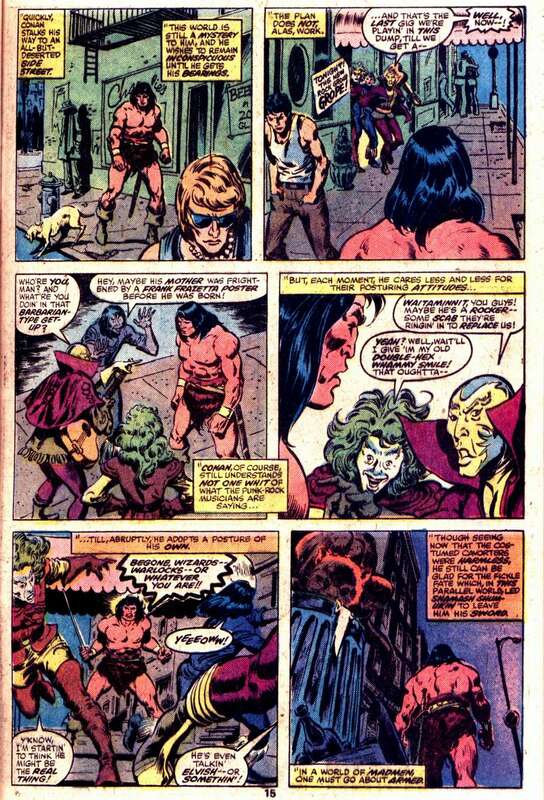 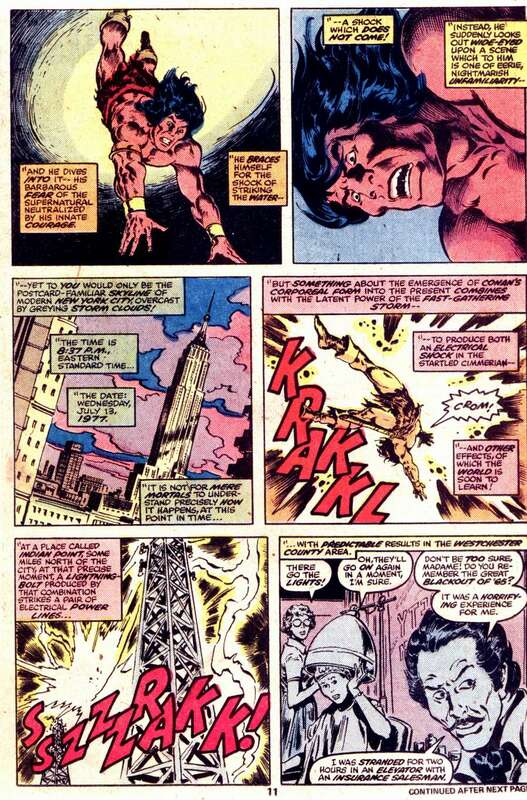 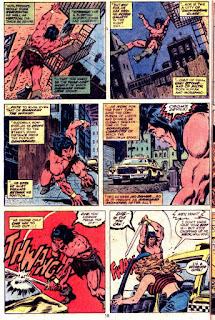 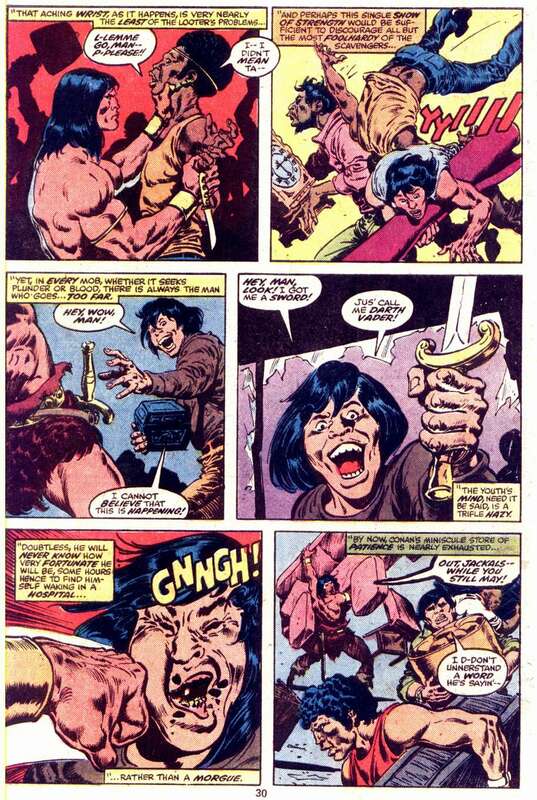 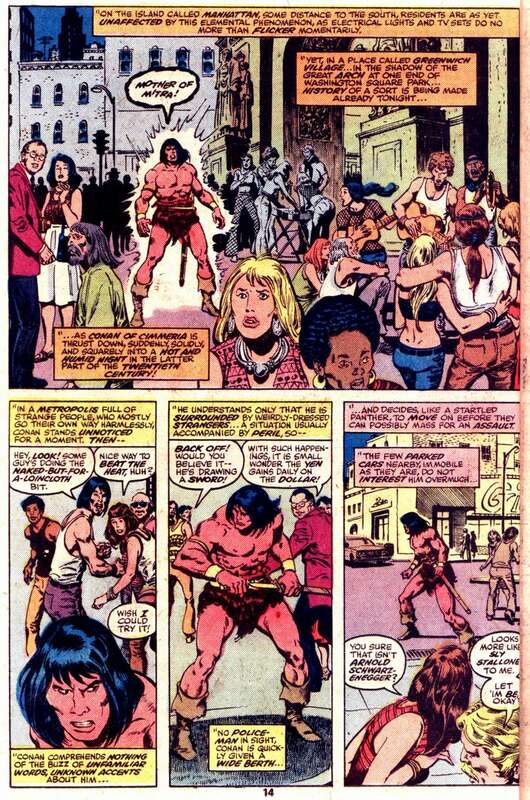 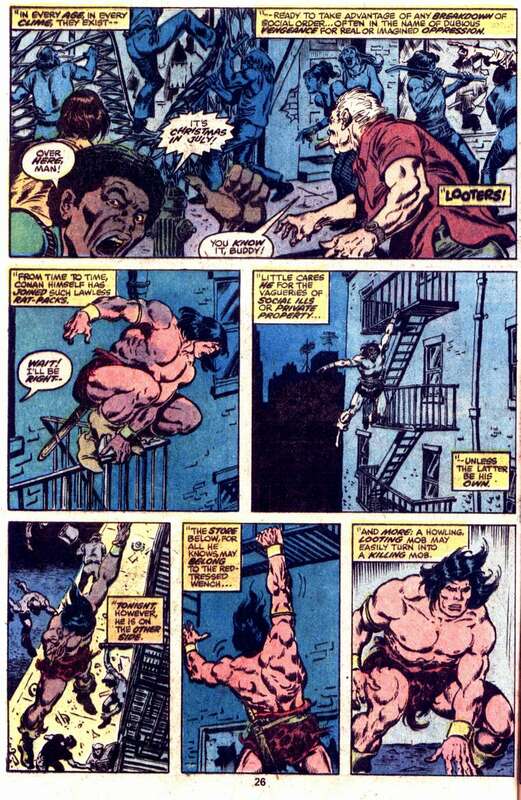 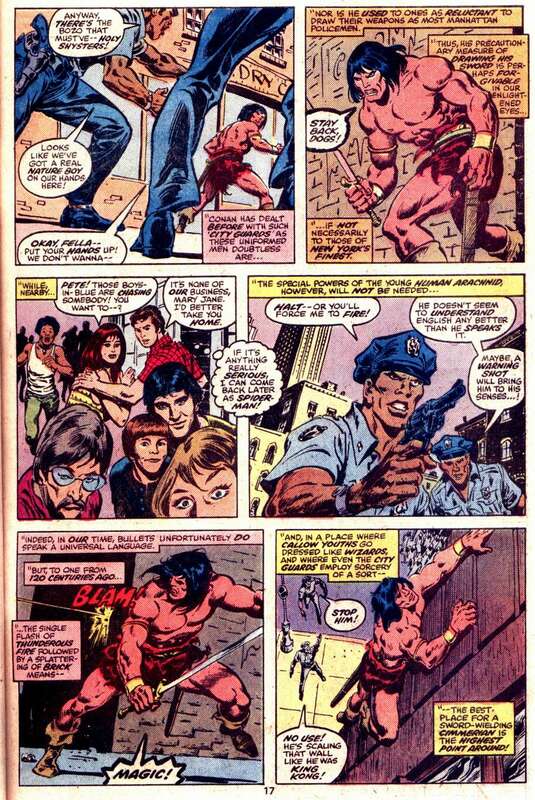 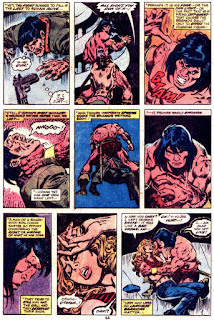 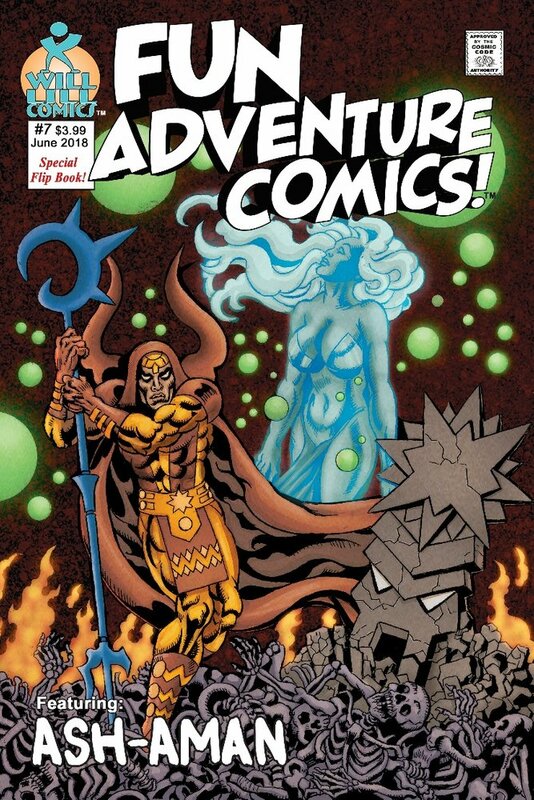 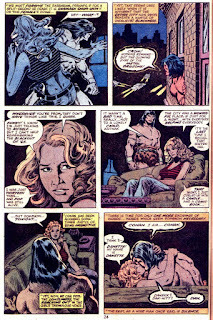 Conan team supreme Roy Thomas, John Buscema, and Ernie Chan got it all together for this alternate universe Conan epic that spun off from Savage Sword of Conan #7's "Citadel at the Center of Time"! 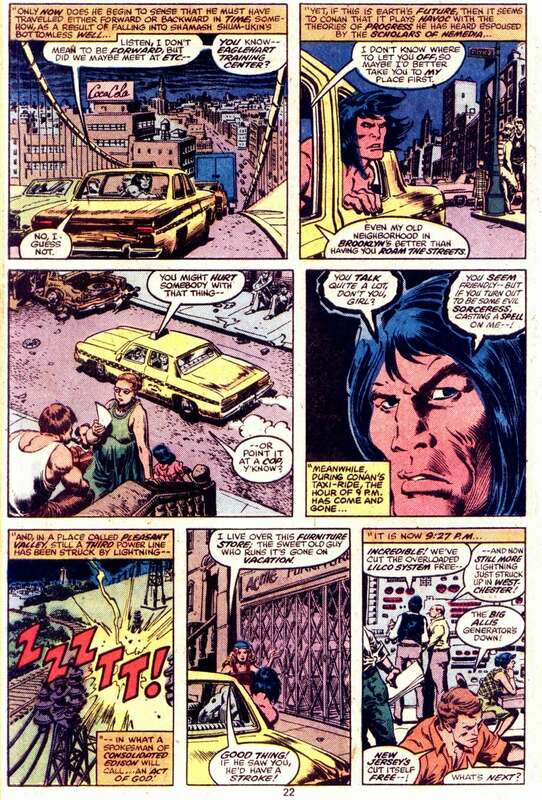 Watch for the Peter Parker and Mary Jane Watson cameo, and just dig Danette, the taxi cab driver based on Roy's (then soon-to-be bride, Dann)! 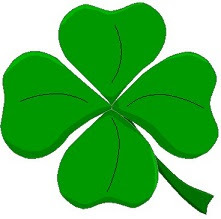 Take your time and enjoy! 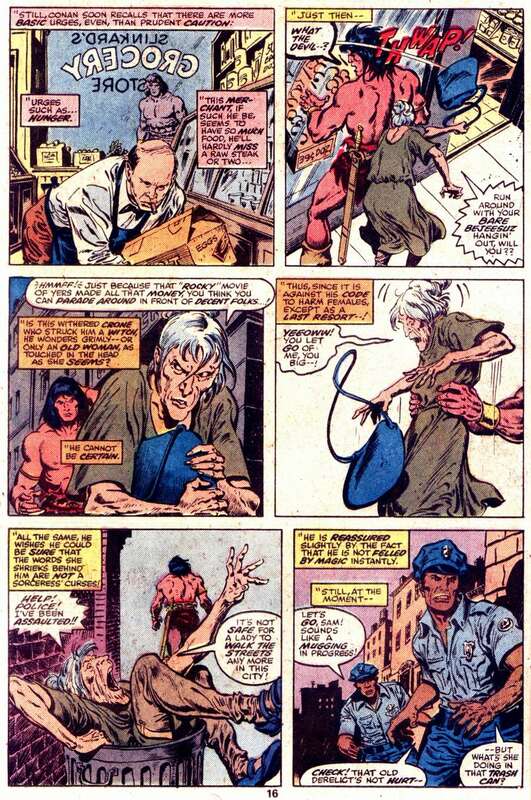 Ya don't have to stuff, ya know! This one has never been collected with the other Conan stories at Dark Horse. 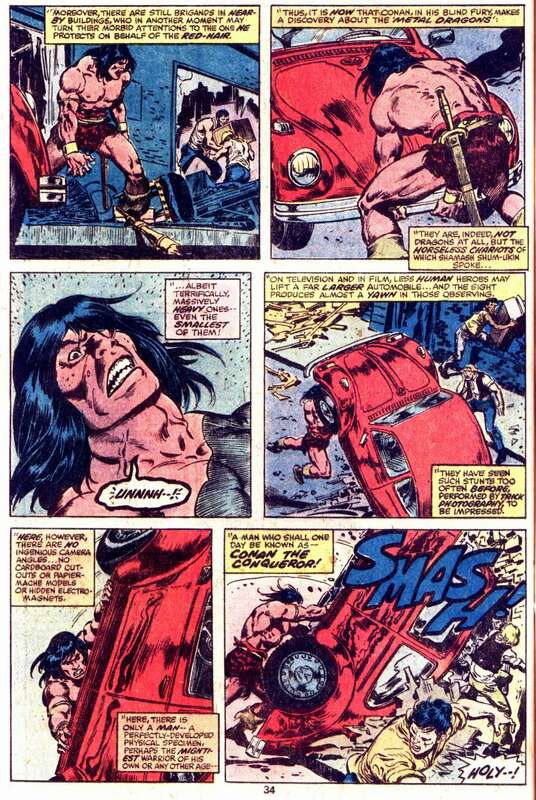 It certainly deserves that treatment. 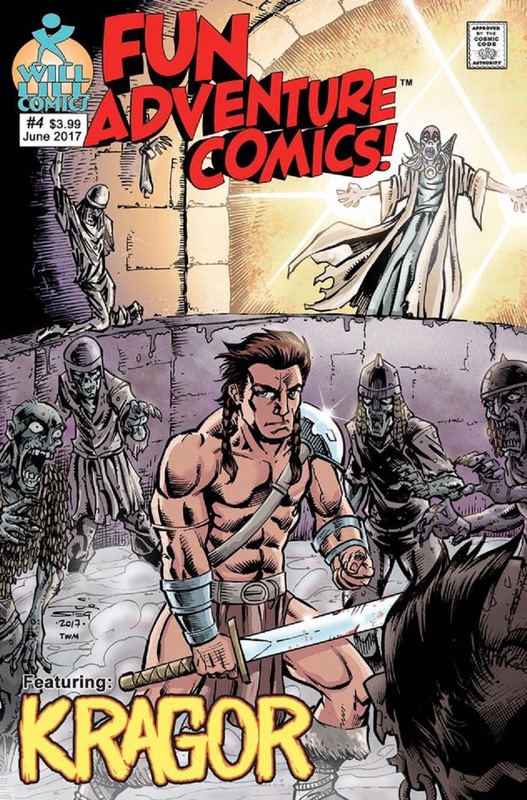 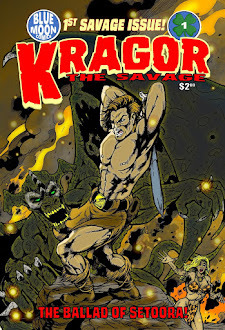 Get past the gimmick and it's a rousing Conan adventure by the regular team.